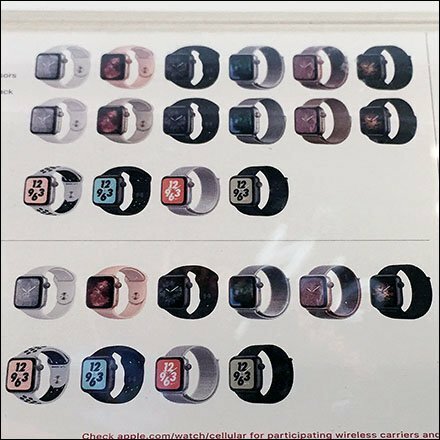 Rather than overwhelm shoppers with physical offerings, this Minimalist Apple Watch Choice Chart lays out a road map to color and other choices. Embedded in clear Acrylic is was well protected from ware and abuse. But readability suffered a bit from the massive backlit display above. This Minimalist Apple Watch Choice Chart seen at Target.